It’s always great to be able to get a relic out of someone’s else’s collection, that has been collecting for years. You never know what they have been able to find through the years. Such is what happened in this case. 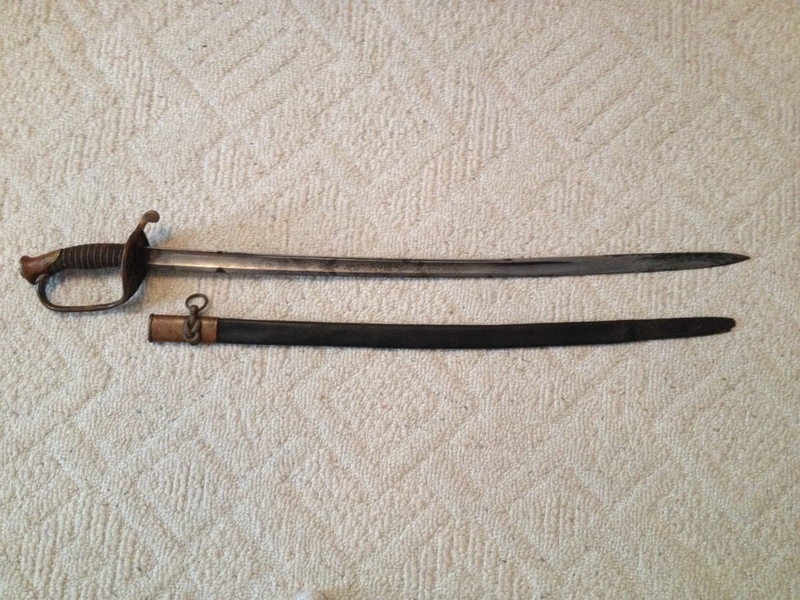 I got this Model 1850 Infantry Officers Sword out of a collection in Lexington Ky. The blade is half acid etched with the US insignia, cross flags and floral design. It was manufactured by W.H. Horstmann and Sons in Philadelphia. The scabbard is leather with brass hardware. What a beautiful sword.